Ultherapy is the only non-invasive skin tightening treatment approved by the FDA for lifting the skin on the neck, chin and brow. Learn more . *Free IPL applies to Ultherapy of full face or lower face and neck treatment. IPL must be treated at a later date and within one month after Ultherapy treatment. Don't know what to get your loved one for Valentine's Day? Give the gift of great skin! 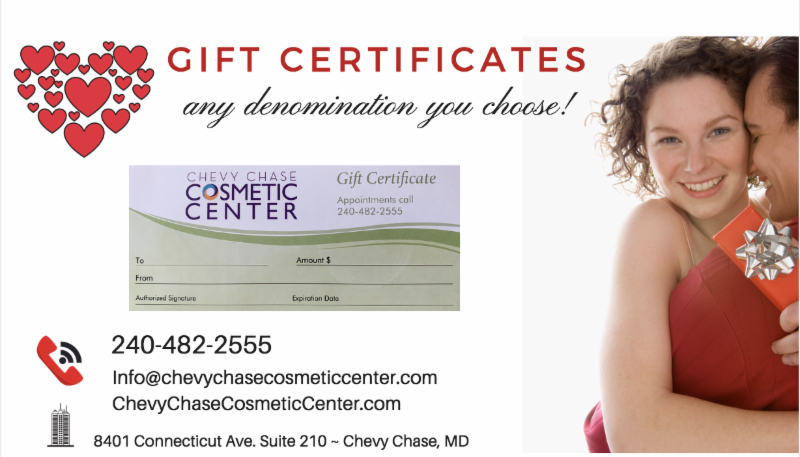 Purchase a Chevy Chase Cosmetic Center Gift Certificate.